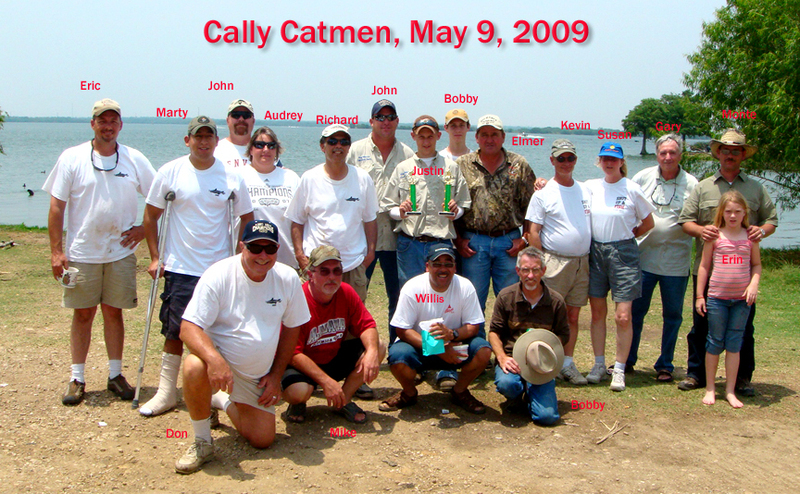 We are a growing group of TFF'ers who started getting together in 2006 just to meet up somewhere besides the boat dock, fish cleaning table and internet. If you are interested in being part of the fun, here is the information page and sign-up. Best looking folks in 2009! This is now the official thread. Within the next day or so it will be stickied at the top of the catfish section. Our very special moderator, Sharon Wilson, has graciously agreed to do this for us. She has also been invited to join us. Please thank her and reinforce the invitation to her. I'm a misplaced Alabama boy surrounded by a state full of Longhorns and Aggies. Lord help me keep my sanity. ROLL TIDE ROLL!!! 2009, 2011, 2012 and 2015 National Champions. A Crystal Dynasty. 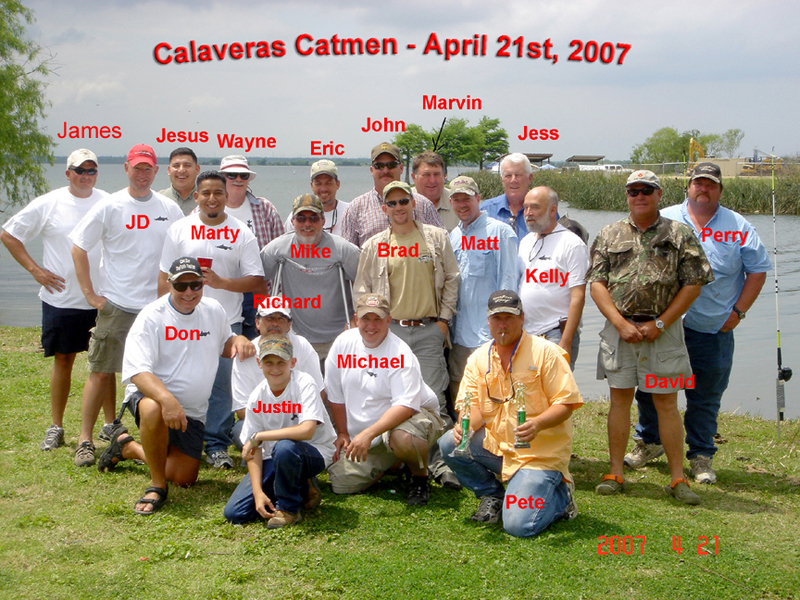 Do you have to have a boat to enter tourny.Or can u bank fish.I know about six guys that would like to enter.We have a small group of anglers that get together once every couple of weeks and fish cally,bruanig,choke. No boat require as far as I know. We'll have to figure out how we do the ten fish stringer, but I say come on and fish and eat with us!! Oh, and welcome to the forum!!!! Last edited by parttime; 03/06/10 07:32 PM. We could probably figure something out. We'll let you know soon in a PM so stay tuned to your messages. Dump some of your old PM's. Your over your quota. Can't send ya anything. Hate to break your heart John. 2006 WAS BY FAR THE BEST. 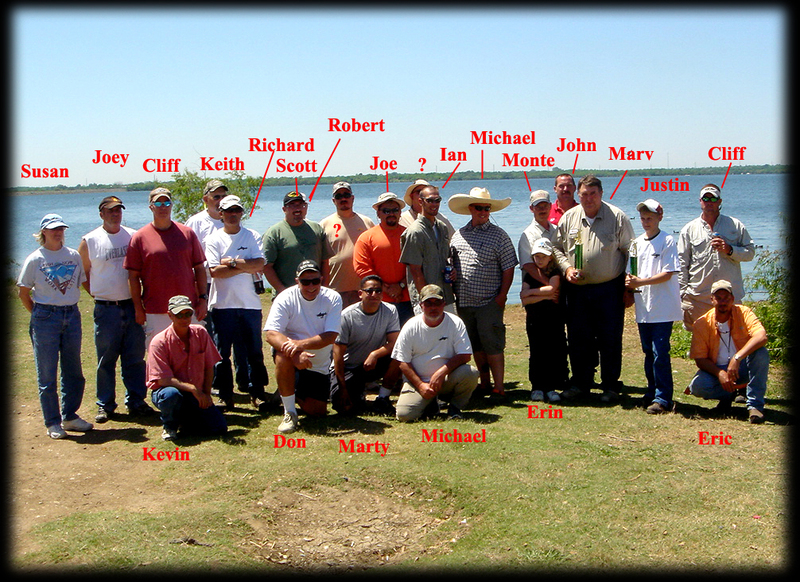 Just look at all those fine men, (FISHERMEN). The one in the ALABAMA shirt is the best lookin. Sorry, I did not know there was a size limit on the PM's. I deleted everything from 1900 - 1999. Mike, you are over your limit too. 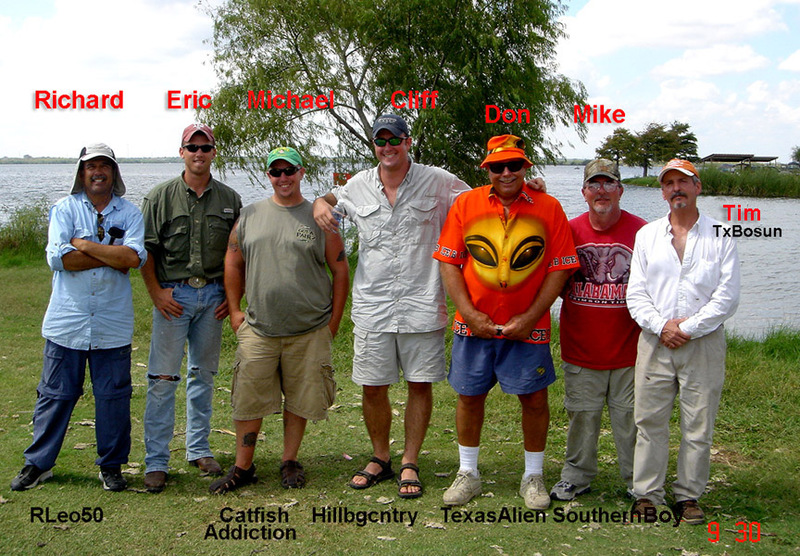 cb51....We will most likely add a rule #9 which states that the same entry fees and rules apply to bank teams that apply to boat teams, i.e., 1-4 team members, each contributing $10 to tourney pot (best 10 heaviest catfish combined stringer) and each team member can contribute $5 for heaviest catfish pot. We should have thought about that before we assumed everyone would like to fish out of a boat... Sign up and the rule(s) will be similar. Last edited by The Texas Alien; 03/07/10 09:02 PM. Thanks for the info southernboy.Ill tell the rest of the guys and see how many want to enter.Im looking forward in meeting you and the rest of the group.The guys that do have boats have to work that day.Me and some others dont care if we fish off a boat or on the shore as long as we fish.Ill let you know in the next couple of days how many are going and will register.Agin thank you. Sorry Texas Alian I wasnt paying attention to who was sending the info back.My mind was in the tourney. this is really starting to take shape........ very exciting. 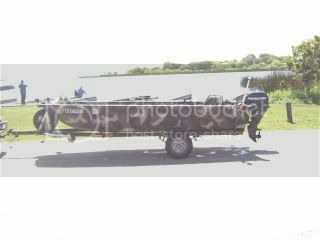 bring all of the bank fishers you want to c51, thats just some more money to be had by our team in the waistin' time rig! heehee....just kiddin', welcome to the forum, look forward to meeting all you guys!! I Love GOD,my WIFE&kids & FISHIN! 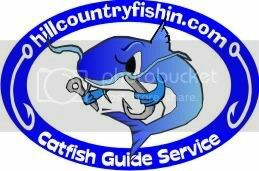 Well while your on the water looking for them kitty's Ill be on the bank bringing them in seating on my comfy chair.HA"HA" Just kiddin also.Cant wait to meet.I never had much luck with that bait.